Home Directs Will US companies ever source from Iran again? When the average consumer thinks of the Iranian economy, he or she most likely conceives of oil. Those more knowledgeable about the country and its relations with other economies probably consider the Strait of Hormuz, a key import-export waterway that is a critical component of Iran's energy distribution. The most obvious factor is the prevalence of U.S. sanctions on Iran, designed to hamper the latter country's development of nuclear energy. 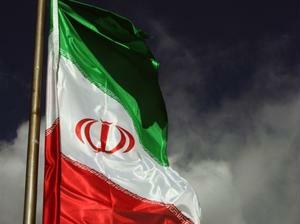 These restrictions, which are jointly enforced by members of the European Union, hinder Iran's oil export potential. Many North American oil and natural gas companies are producing plentiful amounts of the resources domestically. Sourcing from such enterprises gives organizations an economic advantage over those purchasing fossil fuels from Iran, as transportation risks and costs are less severe. Defense One acknowledged discussions between Western-led diplomats - known as the P5+1 - and Iranian negotiators in Vienna last month. The meetings concerned the aforementioned sanctions against Iran, which has lost $1.6 billion in oil income every month since the restrictions were implemented. Iran's own statistics assert that the nation will record losses of $56 million every day. In November, the P5+1 and Iranian diplomats convened on the matter, but no accord was struck. The source noted that future proposals will be addressed in subsequent congregations - most likely this month or in January 2015. Defense One cited a graph that displayed how much Iran will lose in the next 90 days or so if an agreement is not reached: about $5 billion in potential revenue. In some respects, it's not surprising that talks between the P5+1 and Iran didn't culminate into something progressive. POLITICO referenced sanctions against "more than 30 entities and individuals" with connections to Iran, despite the fact that several major countries agreed to reduce sanctions last year under a "Joint Plan of Action." This initiative was intended to improve relations between Iran, but the White House is making efforts to stand by its sanctions. "The message that we have conveyed has been very clear, which is that Iran can only obtain the sanctions relief — the comprehensive sanctions relief that it so desperately needs — by addressing the concerns with its nuclear program at the negotiating table," said a senior administrator, as quoted by POLITICO. "We and our partners around the world will not allow Iran to obtain sanctions relief through evasion of our sanctions." As any procurement officer will tell you, the global energy supply chain is incredibly intricate, comprised of millions of relationships between individuals and organizations. Without a doubt, it's certainly challenging to identify all the suppliers linked to Iranian oil entities, yet that's exactly what U.S. government workers and purchasing officers are aiming to do. Suppose Enterprise A were to sign an eight-month procurement contract with Company B, which sources 25 percent of its oil from Iranian fields. Even if Enterprise A is not aware of Company B's agreement with Iranian oil producers, it could still be held responsible for its ignorance, the argument being that its sourcing team should have made more of an effort to identify where its suppliers were purchasing energy from. It's this reason why organizations should take extensive measures to ensure they're abiding by sanctions established by the U.S.